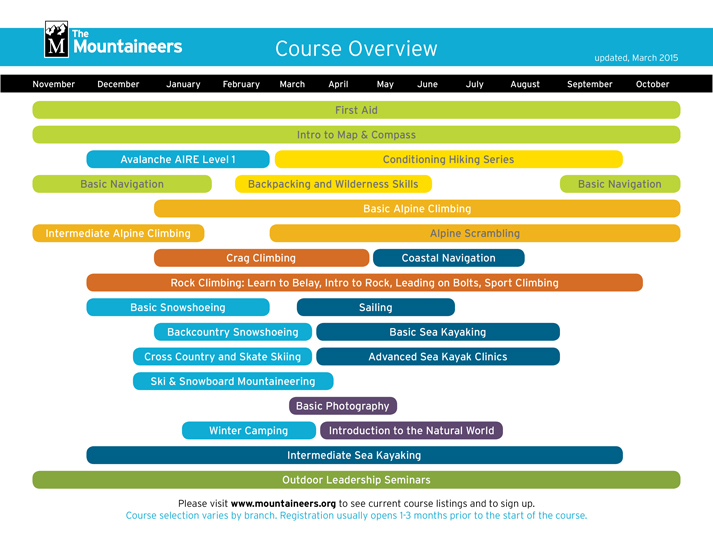 A course calendar to help you plan. The calendar focuses specifically on our main courses, which often need to be completed to participate in our technical activities. Please note: this calendar shows roughly when courses begin and registration usually begins 1-3 months before the course start date.